School inspections still have the potential to spread fear and panic through even the best-run schools, but this practical book will remove all of the anxiety, with its proven advice to help ensure a successful inspection. 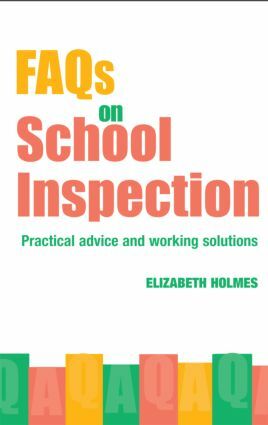 Ideal for all teachers, whether newly qualified or with decades of experience, FAQs for School Inspection will guide the reader calmly through the pre- and post-inspection stages, offering valuable insights into what can happen during the inspection itself. Covering recent legislative changes and everything to do with school inspection, it outlines the teacher/inspector relationship and gives advice on coping with the potential stresses of inspections. Complete with advice on using inspection to further personal and professional development, this ready-reference guide will allow teachers to play a confident and influential role in school inspection.